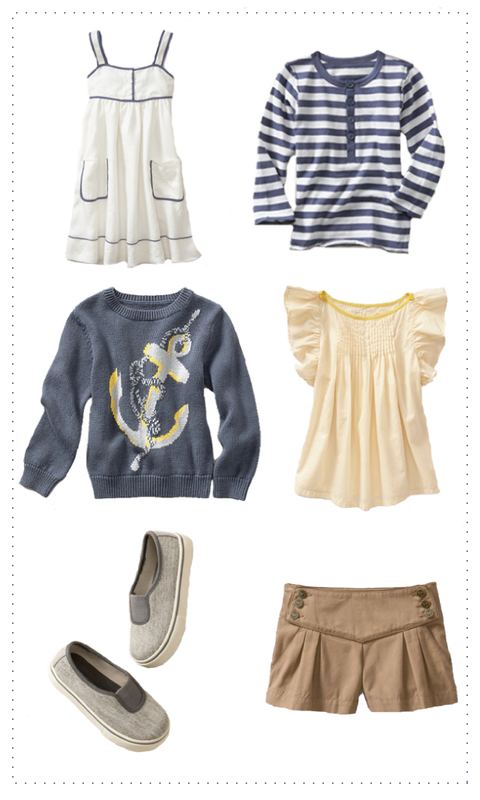 Here are my favorite looks from the new Stella McCartney for Gap Kids collection. A few others I wanted to add -- but they sold out way too quick! LOVE this collection! i want to buy them all for when i have kids... or to give to my nephew and friend's kids!! I really enjoy this collection!! I love the nautica look!! hmmm, I wonder if that cute sundress would fit me?!?! i wish they made these for grown-ups! I bought a couple of pieces, including those darling shorts. I liked the Fall collection better, but this one was cute too! oh my, those shorts & shoes are too cute!!! i wish i had little ones to dress in those! I just went to the store today and drooled over the collection... Gorgeous pieces! I wish they had them in women sizes! What a cute collection! Have a sweet day! It's too bad they don't make an adult version of that beige blouse and shorts. Her collection always sells out too quickly, and with good reason!